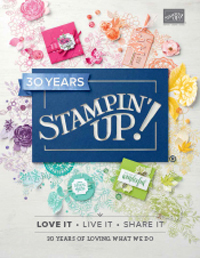 I have been so lucky recently, my lovely not so Secret Sister, Kerri Donsky, sent me the most beautiful and generous box full of gorgeous Stampin’ Up! goodies, and of course I just couldn’t wait to use some of the yummy ribbons. This card actually has no stamping! 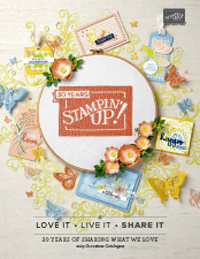 Although you could of course add a greeting in which case you might stamp, or use a rub-on. But I have chosen to leave this one without a greeting. The colours are Chocolate chip, Whisper White and Baja Breeze. 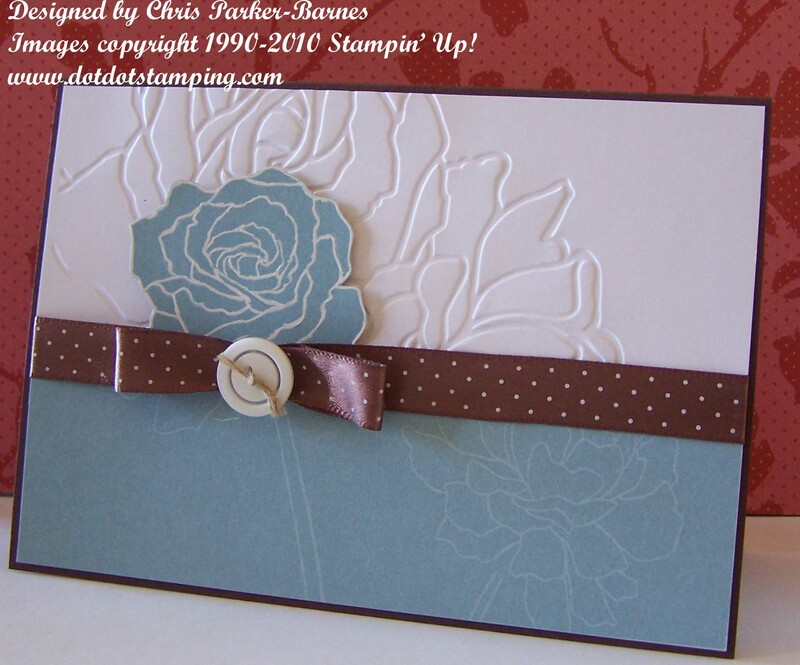 The white cardstock has been put through the Big Shot with the Manhattan Flower Embossing Folder, which has been adhered to a Chocolate Chip card base. The Designer Series Paper I have used is Urban Oasis, and I have cut out the individual rose with paper snips and then highlighted the outline using our White Gel Pen. The ribbon (thanks Kerri) is from the Valet Ribbon Originals, the button Latte Designer Buttons, and I have tied it all up with some Linen Thread.